On the first weekend of October we found ourselves warm in the company of good friends and even better food. "Gatvės bazaras" has a meaning of people who gathered on the street to chat. It was an open kitchen event organised by "Keulė Rūkė" where participants could show their cooking skills and exchange tips with each other. We decided that this is a great opportunity for our refugee friend Basir to give it a taste for others to try the Afghan cousine. The tasty smell of pilaf - traditional Afghan meal and hot saffron tea made us feel like home. We even had volunteers who came all the way from Kaunas just to help Basir on this unique initiative. The whole event was a new interesting experience for our organisation and we are looking forward to involve in such events in the future as well. 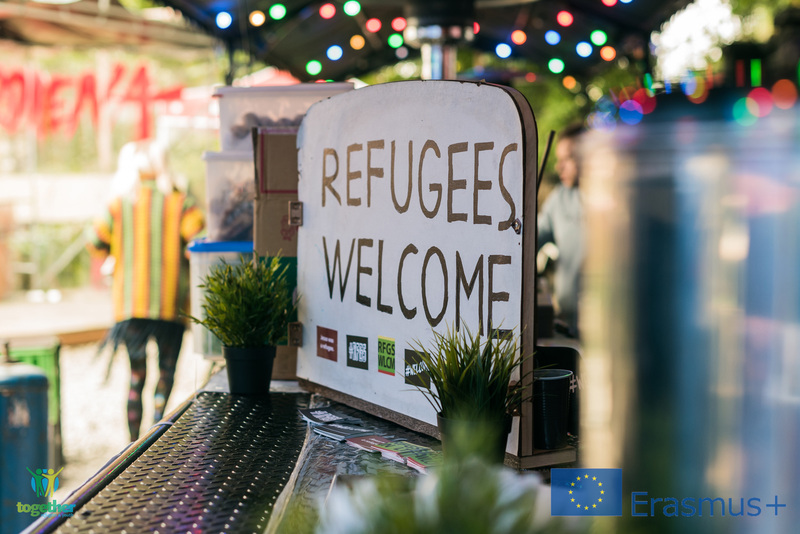 It is a great example that there are many ways we can help integrate migrants to our society. In lithuanian there is an expression: "The way to heart is trough stomach" !